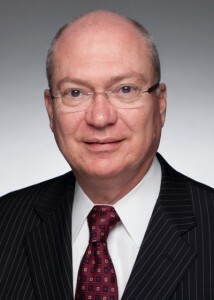 Gregg Sherrill announced his retirement in early 2018 and continues to serve as chairman of the board in a non-executive capacity. Upon retirement from Tenneco, Sherrill caps a more than 40-year career in the automotive industry, serving as executive chairman since May 17, 2017, following 10 years as Tenneco’s chairman and CEO. Mentorship is a critical element of personal development and an integral priority for all leaders. As the former CEO of Tenneco, I wanted to meet as many people as possible. The more [people] you open yourself up to and get to know, the better you understand, through conversations, how they are affecting change and moving the organization forward. To be an effective mentor, you must develop a relationship where there is mutual learning, credibility and trust. Mutual learning and credibility between the mentor and mentee is crucial to the success of the relationship. As a leader, you want to surround yourself with people who are better than you in order to make the organization more successful. You must have a willingness to learn from your mentee, which goes back to the aspect of mutual learning. The more the two of us [mentor and mentee] can respect and acknowledge each other’s differences, the more we develop a mutual learning and understanding. Every leader needs to have a mosaic understanding of the differences of people, because understanding the experiences of people who are different from you is a very powerful thing. How can you mentor our profession’s best and brightest right now so they will be prepared to assume leadership positions in the future? It’s important to communicate with your leaders with respect and confidence, not arrogance. If you see something needs to be done, even if it’s not within your role or job description, take it on. If no one else is willing to do the task, take it on. Be willing to put action behind your communication. Remember, you are a part of something greater than yourself and you must ask yourself, “How do I make others feel important?” A good leader always gives credit but does not always take credit. Every day you go to work, you will influence everyone you come in to contact with either positively or negatively. You will never be neutral; the higher up you are in an organization, the more powerful that concept. If I were walking down the hall completely preoccupied with something and pass someone without looking up or acknowledging them, I will have negatively affected that person. Even a simple smile or good morning is a positive influence. The more people you positively influence, the better your day is, whether you realize it or not. The technological changes are real and impacting us every day. We are in a world that demands immediate answers and because so much data constantly flows at us, we don’t have to go extract it. Often you will feel certain situations are demanding answers and data is not necessarily information. It is certainly not knowledge, it is simply data. At times, we have to slow the world down. If you don’t, the immediate response can come back to haunt you. When responding, you must use human thought, data and analysis to understand the perspective of a subject, get various inputs from diverse sources and turn the data into something more than noise. Stick to the truth of what is there. It would depend on the situation, it is obviously something where an immediate concern has been raised. There are times when you have to say something pretty quickly and it is totally acceptable to go out there and state, “We are aware of this, this is what we are looking into and you are going to hear back from us.” If you can put a date on it, put a date on it. The biggest example of this sort of thing in my experience occurred when one of our main product lines within Tenneco was emissions control systems. We had a lot of converters for diesel engines, all kinds of technical stuff, and regulations were rolling in around the world. During the great Volkswagen scandal, I was on an airplane headed to Lake Tahoe for a nonprofit board meeting. I was flying from Chicago to Salt Lake City and then from Salt Lake City to Lake Tahoe. When I landed in Salt Lake City to change planes, my phone lit up. Volkswagen’s hidden emissions had been revealed and our stock was going down. They knew Volkswagen was our third largest customer in the world, so how would we be involved? There was an enormous amount of information coming my way. I immediately canceled my trip, called my administration and flew back from Chicago. We put out a very quick statement because the whole situation was all software related. All we did was hardware, so we explained that Tenneco had zero involvement and we would get more information. There was the potential of hurting Volkswagen sales in the future, but we were not involved in the what turned out to be a crime. This was an immediate public relations crisis over false assumptions, which is the way the world reacts. We righted that ship pretty quickly, but we did have to give some immediate information before explaining the ultimate effect. In your quick response, there must be credibility. If you don’t know, you don’t know. Don’t try in desperation to get something out there that you’re potentially going to have to walk back. I would put my public relations team at Tenneco up against anybody. I was extremely proud of them and the entire global team. The biggest challenge for younger people is adapting to how fast things are moving. No one is talking about knowing when or how to slow things down. I want to emphasize that with the bigger things, you usually have the time. You do not have to solve it in the next five minutes, no matter what the world is demanding. The world will respect you for this, which might sound a little bit counterintuitive in this day and age, but I think that’s important for our younger folks because they are growing up in this world where everything is immediate. My favorite story about communications is when Thomas Jefferson was president and James Madison was secretary of state. They were having a problem in Europe, Britain or France or something to that effect, and Madison said, “We really need to get to the bottom of this,” and Jefferson replied, “Look, I have written our ambassador a letter. If I have not received word back from him in three months, I shall write him another letter.” That one always sticks with me about how the speed of things has changed over time. In addition to my four grown daughters and 11 grandchildren, I have a 7-year-old son at home. We live on a ranch in Wyoming, so my favorite way to spend a Saturday is outdoors. From fishing to feeding cattle, my son and I do a lot together. We might even be out mending a fence or working with the horses. Thomas Jefferson or any of our founding fathers. History is one of my loves, particularly American history in the founding era, because there is something unique about it. To really understand their thoughts, their emotions and their actions would be special because none of what we enjoy now was guaranteed. Anywhere of historical significance. A few years ago, we were visiting my wife’s family in Germany. We looked up places with the best weather in early April, and the little island of Malta in the Mediterranean popped up. We traveled there and the historical significance was abundant, and I think we enjoyed it more for that. It goes all the way back to the medieval times; housing the fortresses and the center for the Navy all the way up until World War II. To me, that was fascinating. We don’t usually go back to places where we traveled to before. We try to find somewhere new and I’m always leaning toward those that have some historical story, not necessarily just beaches. My leadership tip is… earn success. This comes from a man I respect a great deal, Arthur Brooks. He runs the American Enterprise Institute. He started out life as a professional French hornist and even played in the Barcelona Symphony. He has this concept where he doesn’t care who you are or where you are in life, but know you are where you are now through hard work and earned success…that type of success he describes is what ultimately makes you happy. My mentorship tip is…learn as much as you impact. Go-to news source…The Wall Street Journal, The New York Times, Economist and the BBC website. Lesson that took you the longest to learn…Focus on what you can control, not external events beyond your control. I’m a professional worrier and worry about everything. I had to learn to put those things aside and focus, especially in business and in leadership positions. You must keep your organization focused on what you can control. Don’t let what you cannot control distract you. Habits in your daily routine that strengthen your leadership skills…Get up early, clear your mind and you are ready for the day. I need to be up ahead of everybody else. I might read a book and get my head clear, then I’m ready for the day. I have learned how to schedule when to worry about something. If you want to be effective, it comes down to prioritizing. For me, it takes a serious mental determination to do that because my natural inclination is to literally worry about everything. Value of PR… The value of a public relations professional is seared into me. I respect the profession and have had some really good communications teams that I am forever indebted to. There is no way I could have done my job without their leadership.